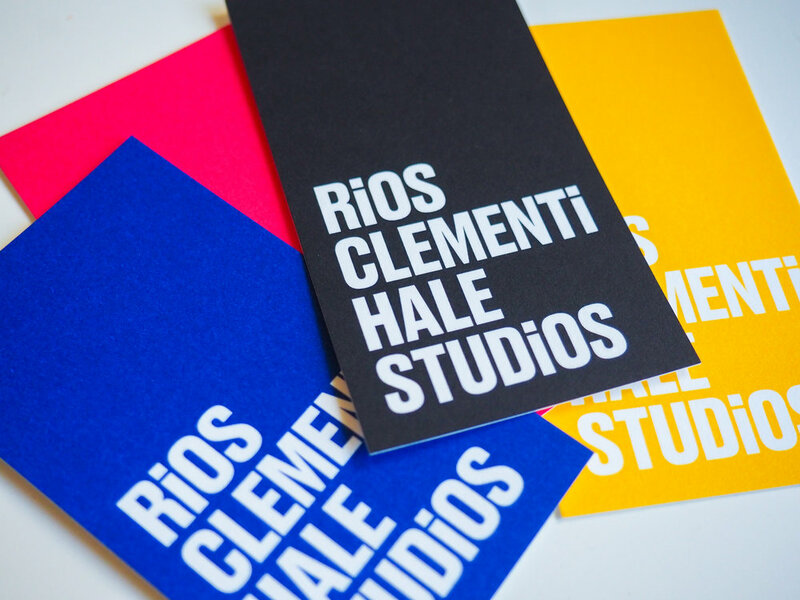 Rios Clementi Hale Studios needed a rebrand upon the move from Larchmont Blvd to a huge new warehouse space in Leimert Park. 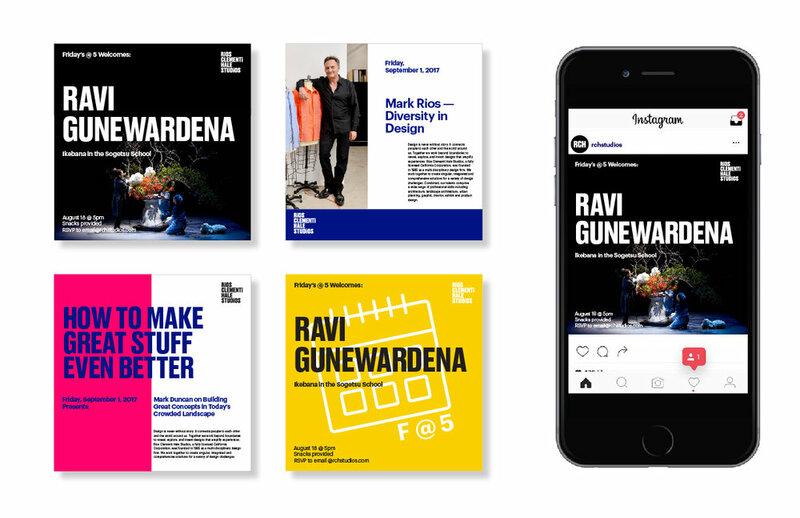 The Last rebrand was 10 years old, and looked too busy and dated for a design firm in 2018. If you are familiar with their work, then you know that bright color are a calling card for them, so bright colors and especially pink were a must. The previous logo was not stacked, so this new logo was much more usable at any size. The stacked format also made the RCHS, which they often go by, more obvious. 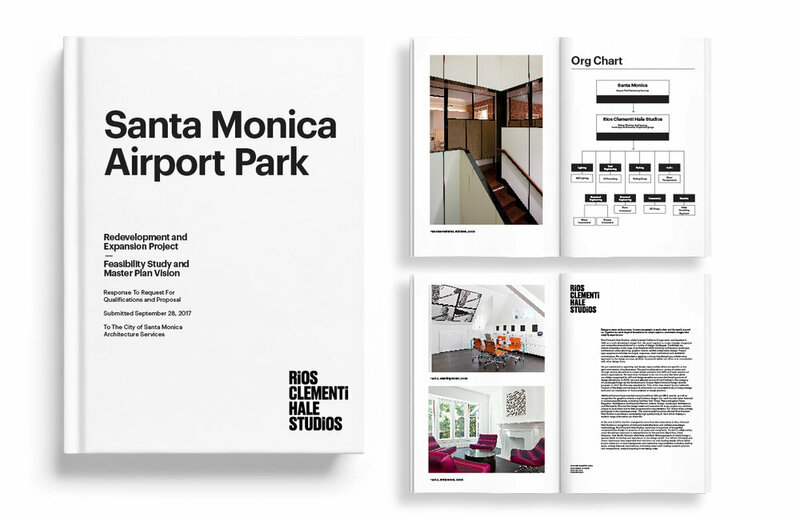 The dotted "i" added a playfulness that they bring to every project. 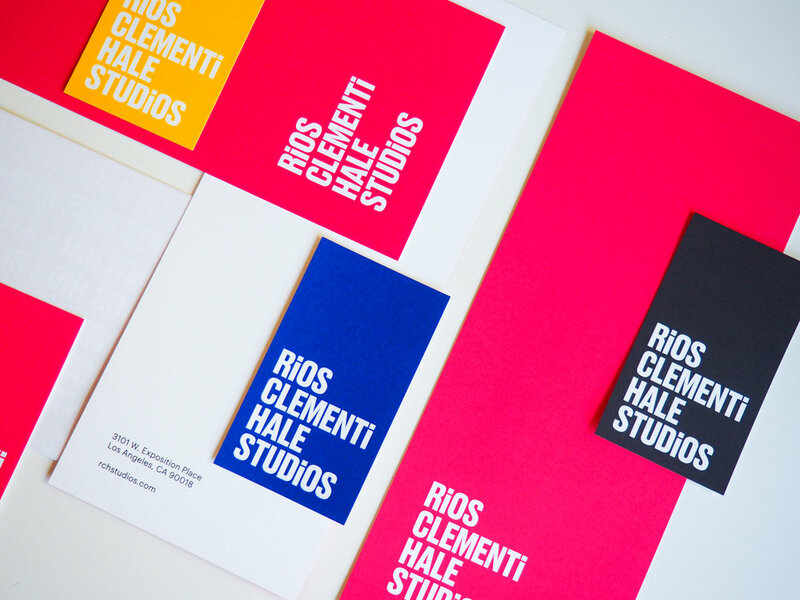 The rest of the branding was clean and usable, so that no matter where it was used, it fit in with every project they designed.